CES will open its doors with a lot of excitement around AR, VR and MR. Like every other year, some of the biggest names in the technology industry - from Samsung to Google - will attend. As one of the biggest dates in the technology calendar, many of the big players will be announcing their latest innovations to crowds of thousands, and millions will hungrily read the new technology news online to see what the “next big thing” is. VR & AR has been shown for years, with headsets of every variety likely to find their way to every corner of CES this year. Advancements in 2018 will not only see the evolution into a mix of the two - mixed reality - by technology companies like Magic Leap, but agencies and brands will be showcasing their sophisticated adoption of the technology to deliver billion dollar efficiencies and truly creative brand experiences. Isobar’s V-Showroom app for General Motors International (GMI) will be amongst the ground-breaking examples where digital has transformed a corporate process to deliver improved customer service, and yield a high value return. The mixed reality application provides an augmented dealership experience for consumers, enabling them to virtually experience a car showroom – anywhere and anytime. Dubbed the V-Showroom, the application merges real and virtual worlds to produce new environments and visualizations in real-time, by using an overlay of augmented content that interacts with the physical space or reality it is in. 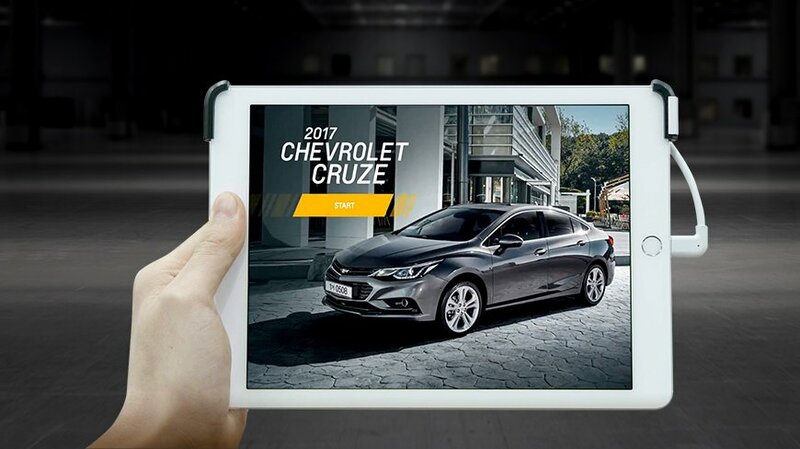 Developed by Isobar, the mobile application showcases GMI’s all-new Chevrolet Cruze and is the first automotive brand in Asia to use MR at scale for car buyers. Using an iPad attached with a structural depth sensor, any physical space can be scanned in real-time in order to place a 3D replica of the car, for example on a coffee table, or scaled to life-sized. With the V-Showroom tracking and mapping content over the physical environment in real-time, a consumer can be shown how the car’s inbuilt features and technologies work, creating a fully-immersive showroom experience. Potential buyers can walk around and even explore the interior of the virtual car, minus the location and size constraints of a typical car showroom. To register for the clubhouse, or book in to any of Isobar’s innovations, please email Hannah Ainsworth.